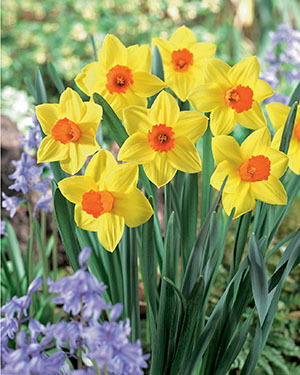 Large Cupped Narcissus are known for their traditional daffodil shape; a large flower on one stem with a large center cup. 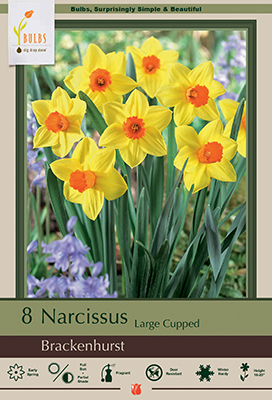 Large Cupped Narcissus have a smaller cup than Trumpet Daffodils and are very popular among landscapers. Allow the foliage to die back naturally, lift dead foliage when it can be removed and they will return spring after spring.